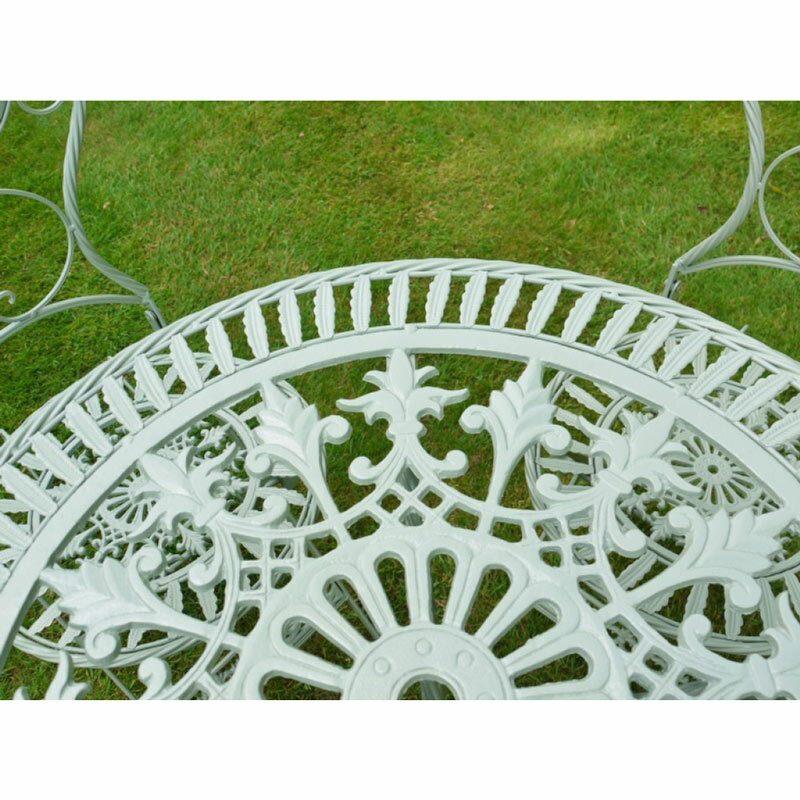 Ornate green metal 4 seater outdoor garden bistro dining set. Vintage style garden table and chairs. Enjoy your garden this summer and dine in comfort. Ornate bistro set comprising round table and 4 chairs. 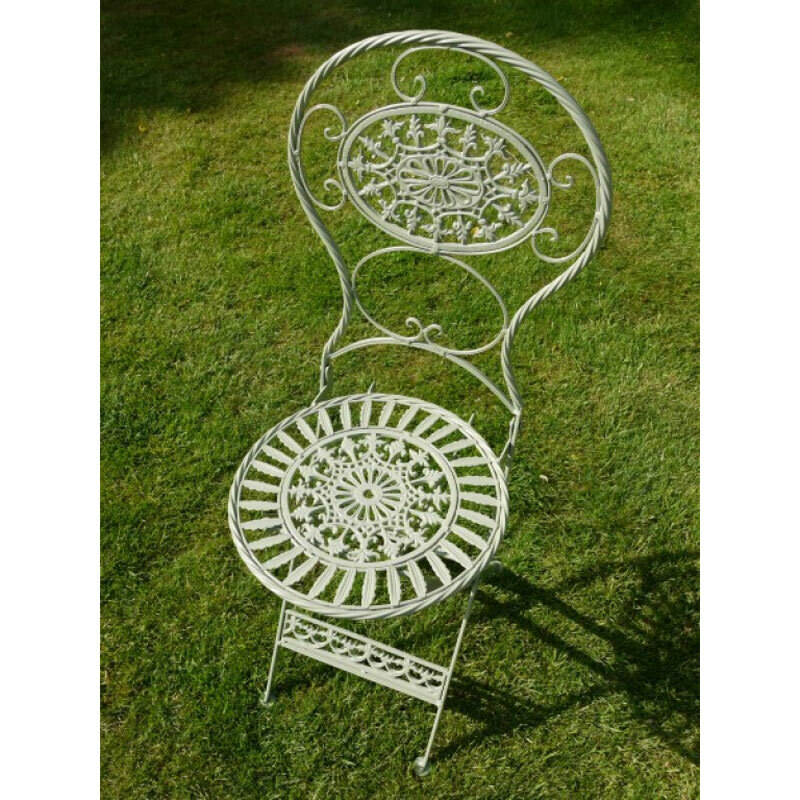 With more bistro sets and garden benches to choose from. Make sure you enjoy your summer in style. 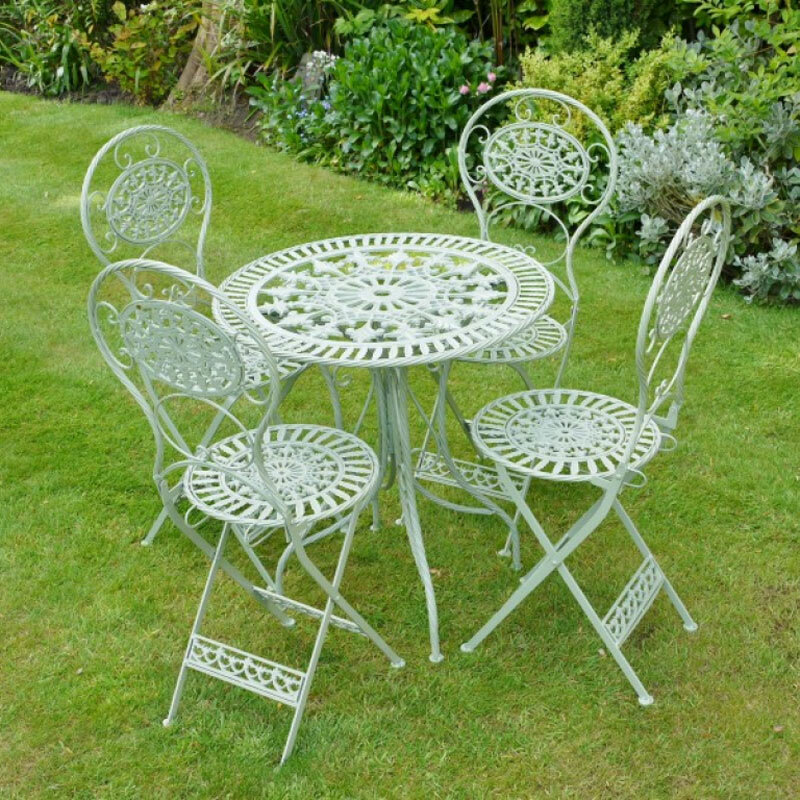 Ornate green metal 4 seater outdoor garden bistro dining set. Vintage style garden table and chairs. Enjoy your garden this summer and dine in comfort. 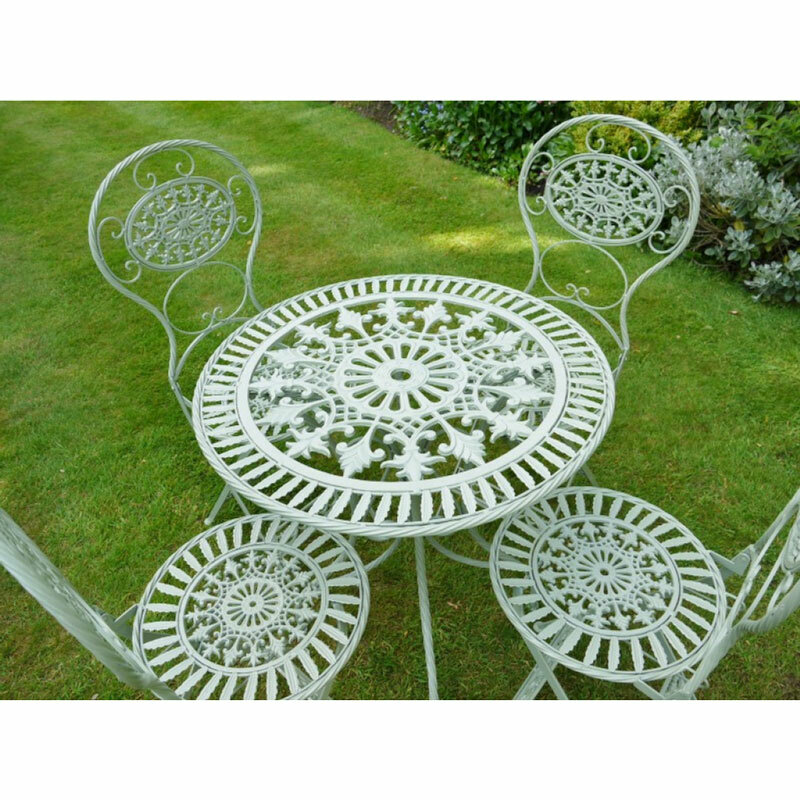 Ornate bistro set comprising round table and 4 chairs. 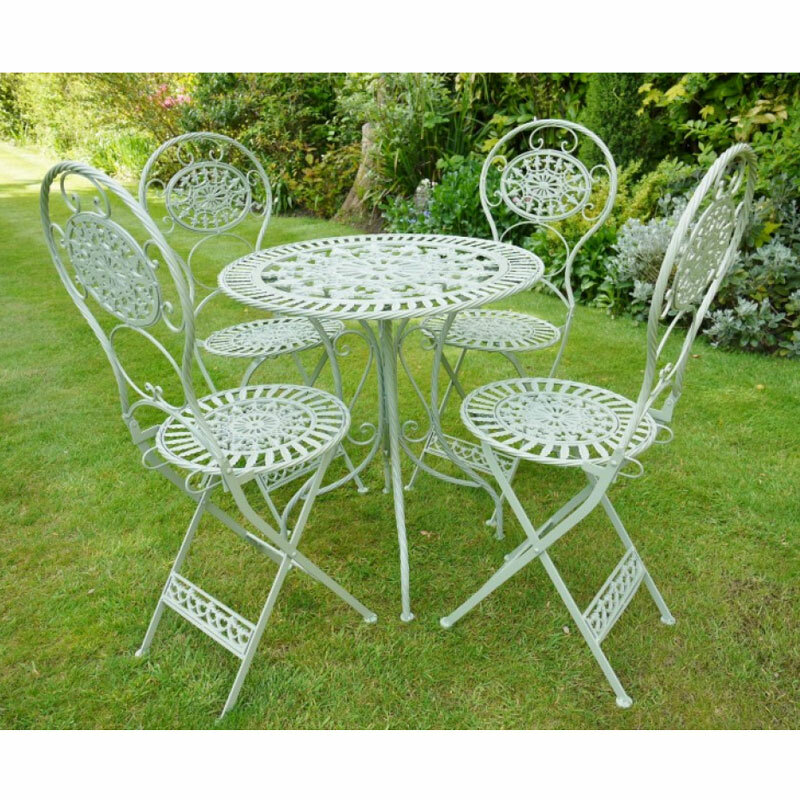 With more bistro sets and garden benches to choose from. Make sure you enjoy your summer in style. Made from metal, painted in green. Chairs fold flat for easy storage. Decorate your garden this summer and make it your own little paradise perfect for relaxing and enjoying the sunshine with our range of garden furniture and accessories.